2 CARS - A fun game about racing cars on the reaction and dexterity. 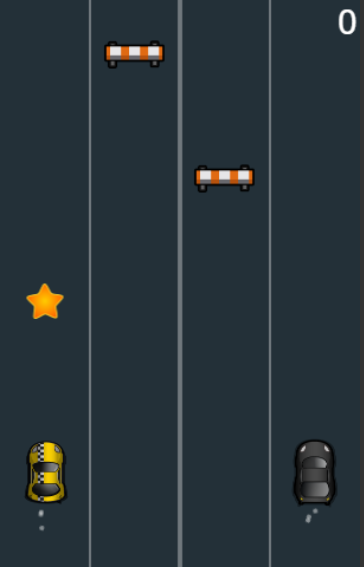 You need to control at the same time two cars, collecting all the stars and trying not to crash into obstacles. 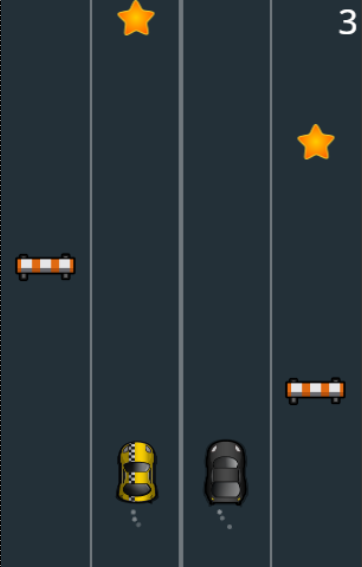 Cars moving at the same speed, star and obstacles appear randomly. It's not as difficult as it seems at first glance. nothing special - just a game, rate please..